What is the scope and application of architecture? What kind of dimensions does architecture work with? If we adopt the conventional measuring techniques that science offers (of western origin), physical space can be measured as follows: using a metre as the unit of measurement and continuing with a base ten system i.e. with multiples and submultiples related by factors of powers of ten. Using this criteria, we can say that humans can visualize space in 46 grades of size from 10 to the power 25 to ten to the power – 16.
size on a scale of angstroms, picometers and fermis: particle physics. Architecture works in a space whose dimensions lie somewhere between those of geography and biology. Unquestioning application of conventional systems of measurement to architecture (metres as the basic unit with multiples and sub-multiples in base ten) may be necessary during the technical phase of architecture (executive planning, building) but can be misleading when the focus is on design and ideas, where what is needed is an awareness of the physical bodily dimensions of the architectural space. We need to look from an ethological and anthropological perspective to understand the nature of architectural space and its dimensions. If we take architectural space to mean the set of artificial constructions the human race has erected to safeguard its own survival, then this space has to be measured appropriately using the proxemic spheres which correspond to the various artificial layers the human body is wrapped in. The notion of “proxemic” was coined by Edward T.Hall, an American anthropologist (1914- ), to refer to the study of closeness and distance in human relations. Proxemics is “the study of how people, subconsciously, structure the space around them – the distances between people as they go about their daily business, the way space is organised in the home and other buildings and the way cities are structured”. Proxemics studies the silent language (The Silent Language 1959), the hidden dimension (The Hidden Dimension, 1966), and the fourth dimension of architecture (The Fourth Dimension In Architecture: The Impact of Building on Behavior , 1975). dressing – interior design – building – urban planning – landscape architecture. The scope of architecture, therefore, covers a broad spectrum, from the smallest range of tasks carried out by the hands through an intermediate range of actions carried out by the body to the maximum range of mental action which is that of vision, which extends into the range of action of the imagination. Proxemic spheres. 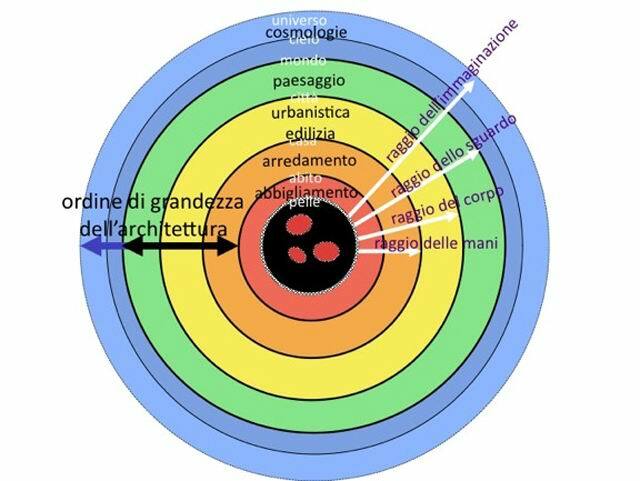 Diagram © Donatella Mazzoleni. Throughout our cultural history, from classical times to the modern day, the human body has been used as a unit of measurement to describe and define space in general, not only that of architecture. 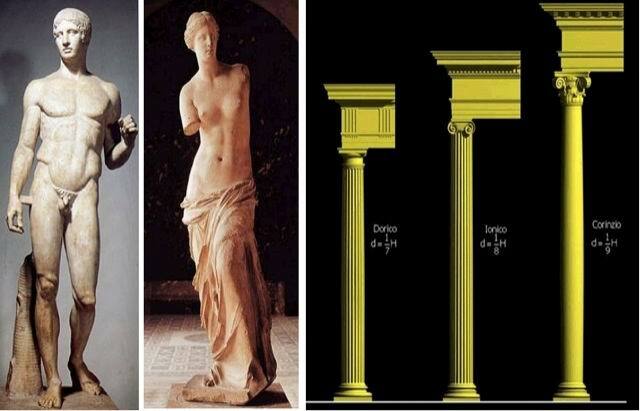 In ancient Greece, the harmonious proportions of the human body constituted the canons (rules) for artistic and architectural composition (Policletes, Praxiteles). It was on the basis of this canon that a new language was generated (“Classical style” in architecture) which was used continuously for twenty-five centuries and is still partially in use today. 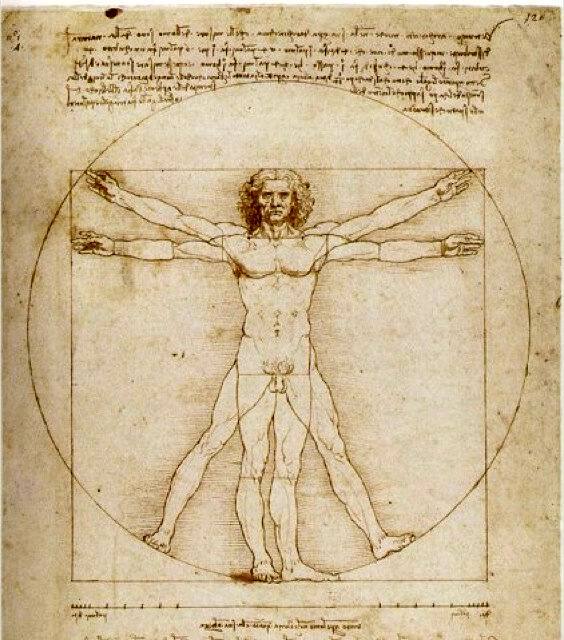 During the Renaissance, the human body was thought of as a microcosm similar to the macrocosm that was the universe (Francesco di Giorgio Martini, Piero della Francesca, Leonardo da Vinci). The harmonious proportions of the human body were a reference for architectural composition as well as for the depiction of the cosmos. 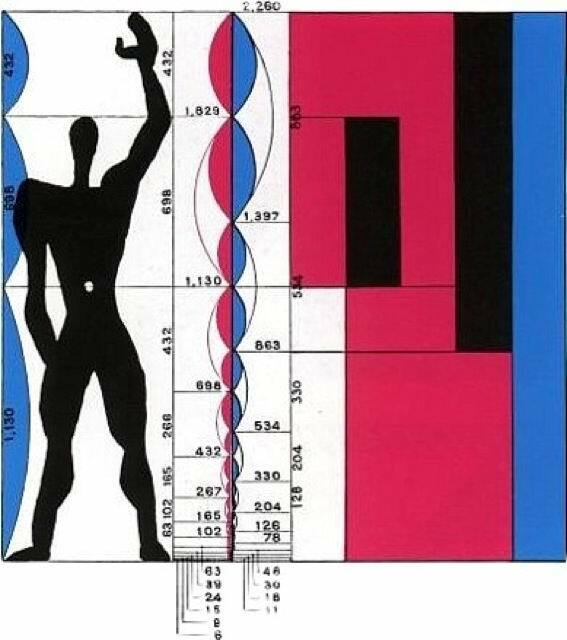 In Modern times, the proportions of the human body have been analysed mathematically and have formed the basis for a system of measurement “on a human scale” (Le Corbusier). Body language and movement have been studied as a radiating structure with diverse meanings within the infinite directions of space (Schlemmer). Polykleitos of Argos, The Canon (The Doriforus), V century B.C. (Praxiteles) Alexander of Antiochia?, Venus de Milo, 130 B.C. Orders of Architecture in Classical Greece. 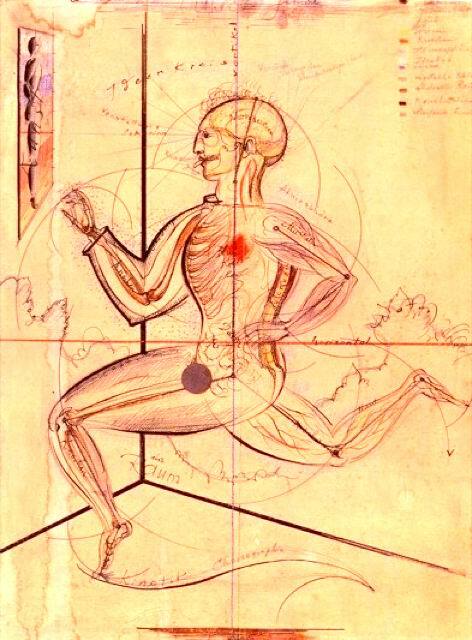 Leonardo da Vinci (1452-1519), Vitruvian man, drawing, 1490. 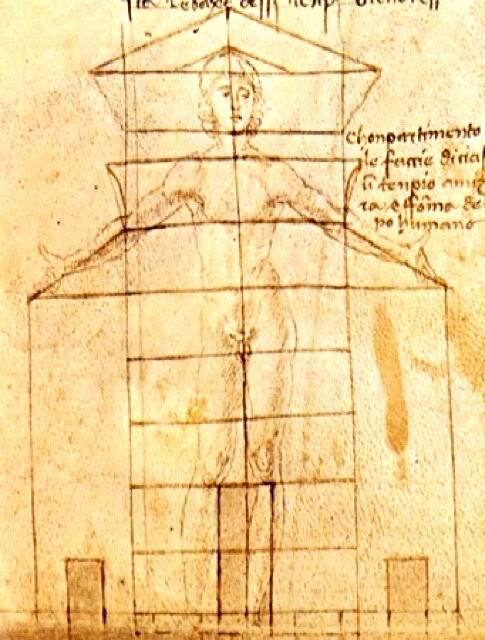 Francesco di Giorgio Martini (1439-1501), Human proportions in architecture, taken from civil and military architecture. Le Corbusier (1887-1965), Le Modulor (1948,1955). Oskar Schlemmer (1888-1943), Man (1928).